M.Sc. Seagoing Chief Engineer's Certificate. Has worked as: a marine engineer; works engineer; engineer surveyor; shipyard manager; shipbuilding training executive. Member of the European Parliament (since 1989). 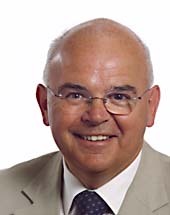 Chairman of the Committee on Budgets (1999-2004).